Do you see the hidden image? Yeah, neither do I, and I've been staring at it for the last three hours (hint: the image is text that says "LOVE"). 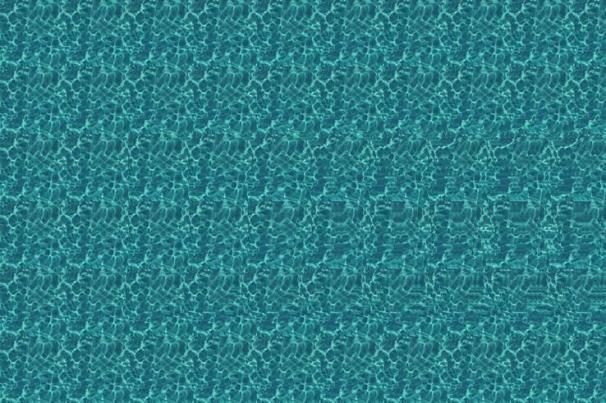 This image is from a new Facebook app called Magic Eye Maker, and it can really make your eyes hurt! If you remember the awesome Facebook app 'Where are my Friends?' that my friend at Cornell College, Luke Korth, made, then you might also like Magic Eye Maker which was created by his fellow classmate, Sarah Gilliland. Magic Eye Maker displays a so-called "magic eye" image (also known as an autostereogram)--an image that has a horizontally repeating pattern. When viewed at the proper distance and focus, you'll be able to see a scene or hidden image. Sarah originally created a Java program that generates these images for a graphics class in her Computer Science curriculum, and she created this app from the Java program "just for fun." Nerd. To use the app, you select a pattern and then you select a hidden image; the program then loads a photo with a hidden image (and the images can get pretty difficult to find!). Currently the patterns and images available are pretty limited, but Sarah hopes to change all that with some ingenuity and by putting her nerd skills to work. Sarah was originally planning to write an applet from the Java progam to put on Facebook but Facebook gets cranky when it has to deal with applets, so righ now, Magic Eye Maker generates images which are statically stored on a server, that were previously formed by the Java program. The pattern is tiled and the hidden image should only appear once. Sarah says that if you see the picture more than once then you have to unfocus your eyes a little. Sarah wants to write the same program that she had in Java into a PHP page so that it can generate images dynamically; this will allow you to input your own pattern and hidden images. It might even allow you create a magic eye with hidden text. So if you ever get bored, make sure to check out Magic Eye Maker and train your eyes and brain. It'll tease you for hours!